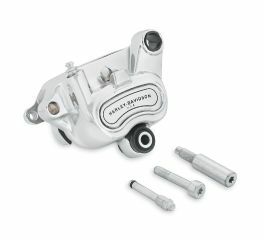 Complete a chrome rear brake conversion. 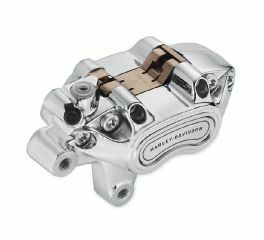 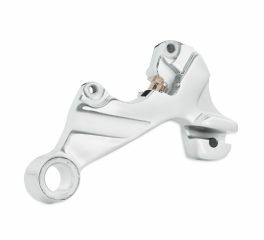 This Rear Caliper Bracket sets your ride apart from the others by replacing the painted black mount with brilliant chrome. 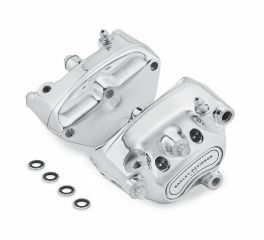 Add the shine of chrome to your front end with this highly polished Front Brake Caliper Kit. 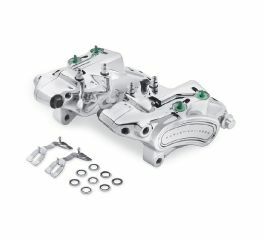 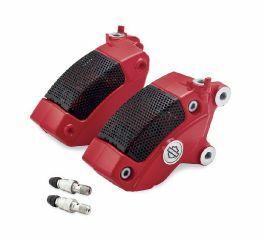 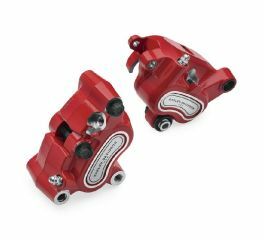 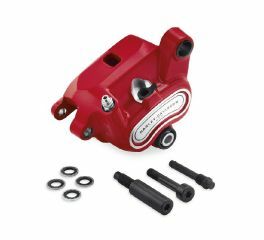 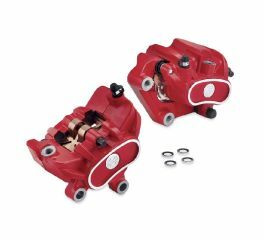 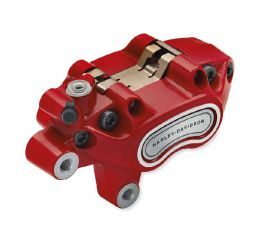 Manufactured from Original Equipment components for proven performance, these calipers are a great addition to the stock front end or add the finishing touch to a complete custom with chrome wheels, rotors and chrome fork sliders. 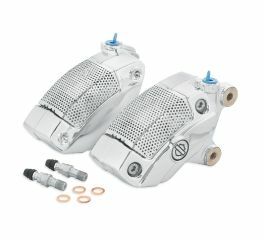 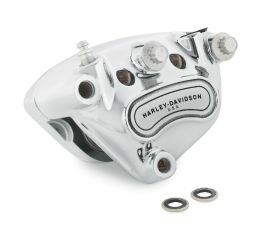 Add the shine of chrome to your front end with this highly polished Chrome Front Brake Caliper Kit. 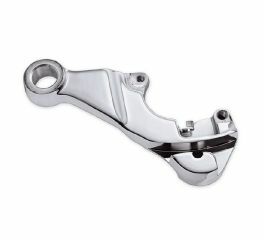 These calipers are a great addition to the stock front end or add the finishing touch to a complete custom with chrome wheels, rotors and chrome fork sliders. 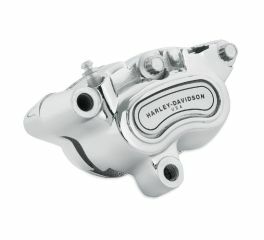 Add the shine of chrome to your bike with this highly polished Chrome Brake Caliper Kit.